You’re eating clean, but are you cleaning clean? Toxic chemicals in everyday cleaning supplies can be very harmful to the environment, your home and body. 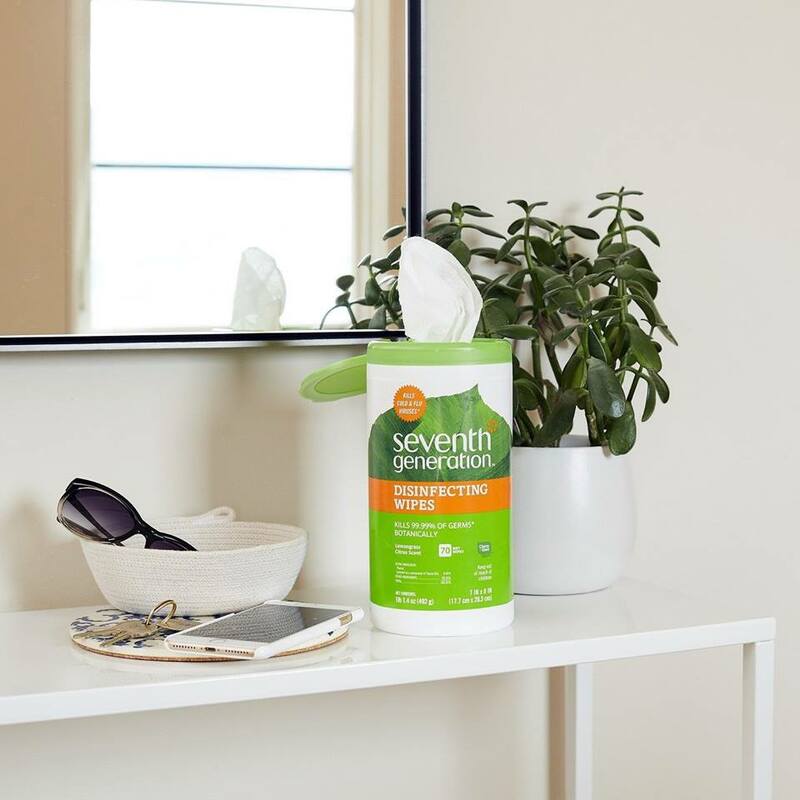 Read up on what eco-friendly cleaning products we recommend before you get started on your spring cleaning routine! When it comes to kitchen messes, there are a lot of things you can do before breaking out a product. For example, dried food on your oven can be removed by pouring hot water from a kettle on a messy area before scrubbing. Lemon and vinegar can be used in different ways throughout the kitchen to clean. (Quarter a lemon and toss it into your garbage disposal for a natural cleaner and odor refresher. Clogged drain? Pour 1/2 cup of vinegar and 1/2 cup of baking soda into your drain and rinse with water.) When you do reach for a product in the kitchen, it’s most likely going to be soap, and because soap interacts directly with your skin, it’s important that the soap you choose is made with clean ingredients. More on-sale spring cleaning essentials here! Remember when we mentioned using lemon, baking soda and vinegar in the kitchen? Well, guess what? You can use those ingredients in the bathroom, too! Pour vinegar into a spray bottle for an all-natural mold remover. Mix baking soda and castile soap (like this one from Dr. Bronner’s) to create an eco-friendly paste that can be used to clean grout. 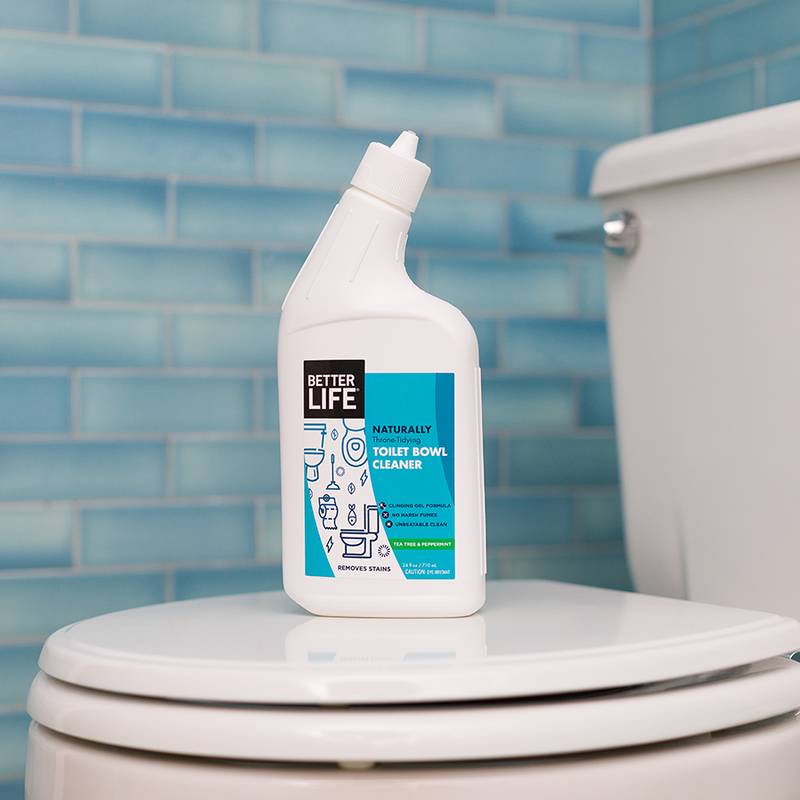 If you’re not in the mood to make your own cleaning products, you can pick up plant-derived bathroom cleaners like this “throne-tidying” toiler bowl cleaner by Better Life. It’s made from ingredients like coconut oil, lemongrass and eucalyptus, which provide a much greener experience than the chlorine or bleach filled products other brands offer. See the EWG's guide to healthy cleaning here! Speaking of the EWG, Dr. Bronner’s organic and fair-trade Pure-Castile soap gets an A! 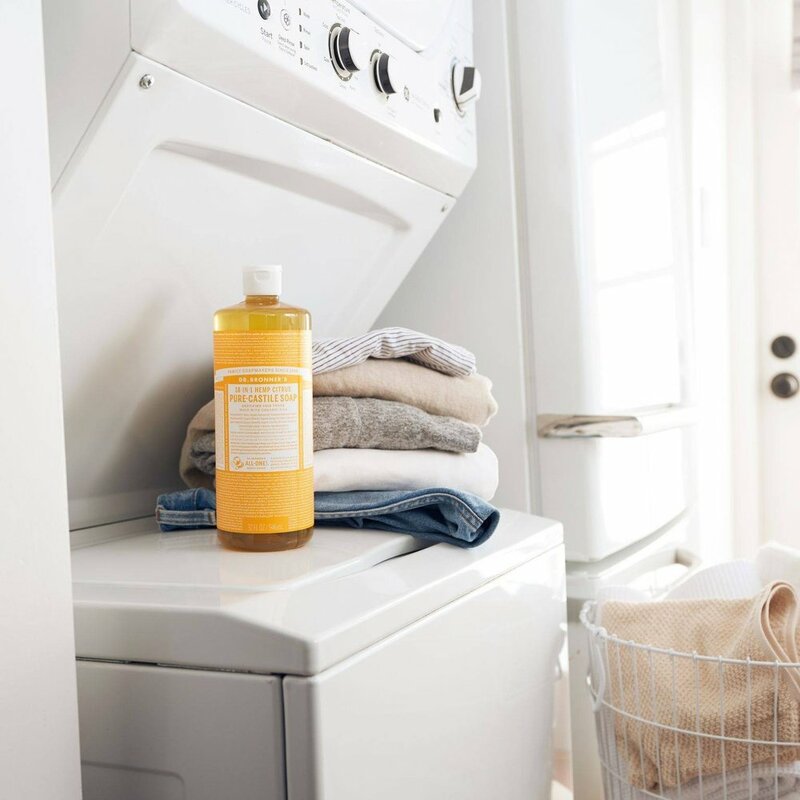 You can use 1/2 to 1/3 cup for a large load or mix 1 cup of Dr. Bronner’s pure castile liquid soap with 1 cup of baking soda, 2 cups of water and 1/2 cup of salt. Other green laundry detergents we love and trust are from Biokleen, Seventh Generation and Zum Clean. When combined, household staples like olive oil, water and vinegar can create a highly effective multi-purpose cleaner. Plus, when you make cleaning products yourself, you know exactly what ingredients you’re spraying around your house! We made a super easy home and furniture cleaner with just 5 ingredients! Find the recipe below. DIY HOME AND FURNITURE CLEANER RECIPE HERE!